Dr. Glenn Warner retired in February 2018 after 27 years at UConn as a Professor of Water Resources. From 2000 to 2018, Dr. Warner served as the Director of the Connecticut Institute of Water Resources (CTIWR), which is part of a national network of 54 water institutes. Glenn taught various Water Resources courses, including Watershed Hydrology, Dynamic Modeling of Ecosystems, and Water Management and Engineering. In retirement, Glenn will partially channel his passion for water through the international Partners in Development program. He has already made a trip to Guatemala, where he assessed water supplies, and helped build several cookstoves for communities in need. Dr. Warner received his Ph.D. from the University of Minnesota and joined the UConn faculty in 1990. His research focused on the prediction of runoff from landscapes using dynamic, deterministic models, as well as understanding the physical processes of runoff generation. 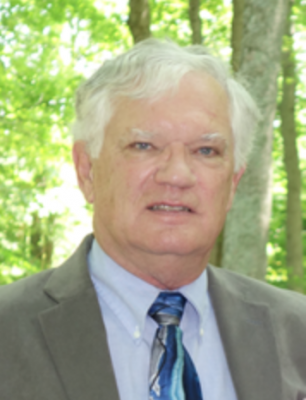 Dr. Warner’s research topics have included the influences of land use and land treatment on the infiltration capacity and associated surface and shallow-subsurface flows and the roles of soil flora and fauna in the development of pathways for water and solute movement. Additionally, Dr. Warner focused on the application of watershed models to predict potential changes in streamflow with changes in land use and climate and the role of water conservation and water reuse in optimizing available water for both instream and out-of-stream uses. Dr. Warner will remain involved in the UConn Community and will attend the study abroad trip to Rome, Italy with faculty member Dr. Gary Robbins in May 2018. The Department of Natural Resources and the Environment sends our best wishes to Dr. Warner in his retirement.